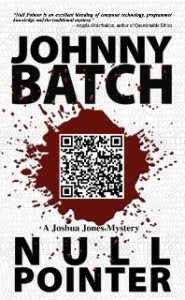 There’s an interesting post on The Book Designer blog by author Camille Picott, about using QR codes on books. 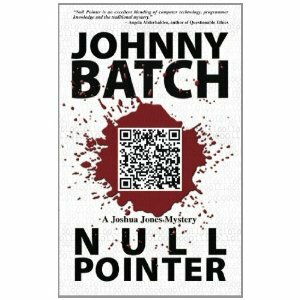 I use a QR code on the cover of Null Pointer and I believe you will start to see them cropping up on all over the place in a few years. My personal imprint, GB Press is going to be including them inside ebooks and on the back covers of paperbacks to advertise the web sites of the authors we publish. It’s a compact, convenient way to communicate information and with with rise of smart phones, more and more folks will be using them in the near future. This post is only for my readers who live in Boise, ID. I don’t post about politics much at all around here. But this time, I will make an exception. Here’s why. On the ballot here in Boise on Tuesday May 17 is a vote for two open seats on the Greater Boise Auditorium District (GBAD) board. These positions are not partisan, in other words the people running are not running as a member of a particular political party. They are running to sit on a powerful board that will decide the fate of tourism in Boise. In the interest of full disclosure, this election has direct financial implications for my family. My wife works for the BCVB (Boise, Convention and Visitor’s Bureau). Or rather she used to work for them. Until the current members of GBAD voted to close the highly successful BCVB over a fear of an alleged illegality that is based on a single law firm’s opinion. My wife and a few other loyal employees have been working as volunteers at the bureau since funding ran out in February of this year. The candidates who we are endorsing and would love for you to vote for are Steve Schmader and Michael Sullivan. Both are fine, upstanding citizens of this community who have been following the politics of this particular GBAD board for over a year now. Neither man has business interests that would be affected by board decisions, and both want to bring back the BCVB who will continue to bring in outside events and fill not just hotel rooms but restaurants, bookstores and all manner of other retailers who thrive on tourism to this fine city. If the BCVB is not funded by GBAD, it will be allowed to die. No city the size of Boise is without a CVB. Cities need to advertise in order to bring in conventions and tourism dollars. The current GBAD board does not allow for advertising to any groups that would not fit in their convention center. This limits the size of events that can be brought to Boise. So no more Special Olympics or similar sized events will be able to come to Boise. Eventually, retailers who now thrive in the city on tourism, will feel the pinch and slowly start to close. In a hard economy, cutting jobs due to lack of tourism is suicide for any city. Please vote for Schmader and Sullivan on Tuesday and help restore sanity to this fine city. 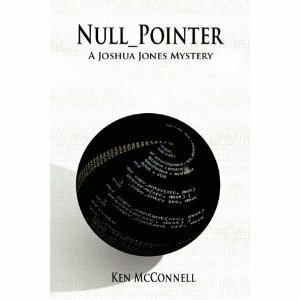 FYI, you can now purchase Null Pointer in paperback from Amazon. If you are a fan of paperbacks, you will love this book. I think its the finest book GB Press have ever produced. Fits in your hand perfectly with the new 5 x 8 size and just looks professional in every way. The best part? It’s only $9.95 US and that’s a bargain if I do say so myself. Run along now and get yours today!